Mr. Boucher is the current President and CEO of Ergoresearch Ltd. An entrepreneur, he has created a number of healthcare related companies. He was VP–Operations and boardmember at IRIS, Le Groupe Visuel, after developing and managing several group franchises. During his association with Le Groupe Visuel, IRIS became Canada’s leading optical network with over 165 centres across the country. In 2004, he launched La Vue La Vie Optométrie, taking advantage of a business opportunity north of Montreal. He became President and CEO of Ergoresearch in 2005, at a time when the company had less than 30 days’ liquid assets to cover its operating costs. He has since totally restructured the company, turning it into a highly profitable concern. Mr. Boucher has a doctorate from Université de Montréal – École d’optométrie. He resides in Blainville. Mrs. Boucher is an entrepreneur and founder of la Clinique du Pied Équilibre, which was sold to Ergoresearch in March 2005. An ortheses-prosthesis specialist, she sits at the helm of the new orthopedic laboratory. Her clinical skills and ability to integrate new technologies into her practice are unique. She has been a member of the Ergoresearch Board of Directors since April 2005. Mr. Pierron has been Chairman and CEO of Holding Proteor since 1992, a private company that runs important optometry production centres (France) with subsidiaries across Europe (France, Luxembourg, Czech Republic) and Asia (China, Vietnam). Michel Pierron is President of each Groupe Proteor subsidiary. He is also President of l’Association professionnelle française des orthoprothésistes, and a member of the Board of Directors at INTERBOR, an international federation that encompasses executive representatives from the field of orthoprosthesis. Financial statement analysis, budget creation and monitoring and other assorted roles entrusted to an auditing committee are the mandates that Mr. Pierron has been filling for a number of years now, together with the financial directors of its international subsidiaries. Mr. Tellier has been VP–Business Development and Director–Legal Department at Groupe Forget, Audioprosthesists, since July 2003. He occupied the positions of Secretary of the Board, and Director–Legal Department at HelixHearing Care of America Corp., a public corporation, from 1997 to 2002. From 1984 to 1996, he was a practicing notary for a private firm, and a member of la Chambre des notaires du Québec. He earned a law degree from Université de Montréal in 1983 and a civil law degree in 1984. Mr. Tellier has vast experience in business acquisitions and development. Mrs. Chamouton is Director–Finance and a member of the executive at Groupe Proteor – a leader in orthopedics in France, with a network of over forty branches. The Group also operates abroad, through a network of European and Asian subsidiaries (Luxembourg, Czech Republic, China, and Vietnam). With a graduate degree in accounting and finance, Mrs. Chamouton worked for six years for auditing firm Price Waterhouse Coopers, before joining Groupe Proteor in 1999 as a management auditor. Mrs. Chamouton earned a Master’s degree in Accounting and Finance in 1992, and a postgraduate degree in Operational Finance Auditing in 1993. Mr. Laporte is a business administrator. In addition to being on the board of directors at Technologies Interactives Mediagrif Inc. and for a number of other private companies, until October 2011 he was also senior vice-president ‒ business development for Logibec Groupe Informatique Ltée, a position he had held since January 2001. Prior to that, he was president at Calculus Informatique Ltée, a private computer services firm, and vice-president for Société d’information Banque Nationale, a National Bank of Canada subsidiary. 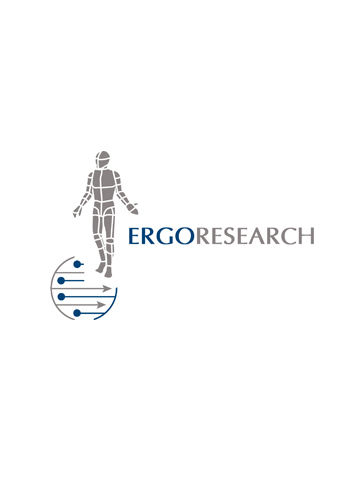 Copyright © 2012 Ergoresearch Inc. All rights reserved.